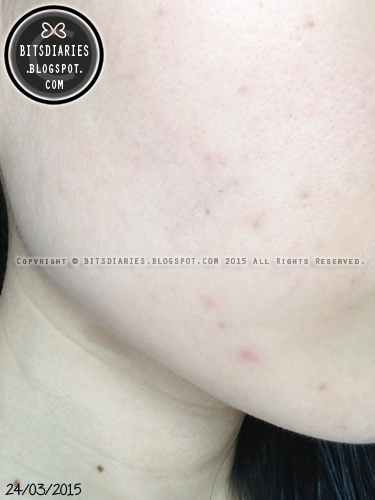 BITSDIARIES about BEAUTY & ACNE: [Acne Story] #03: Update on My Acne Journey — "Clearing Up!" 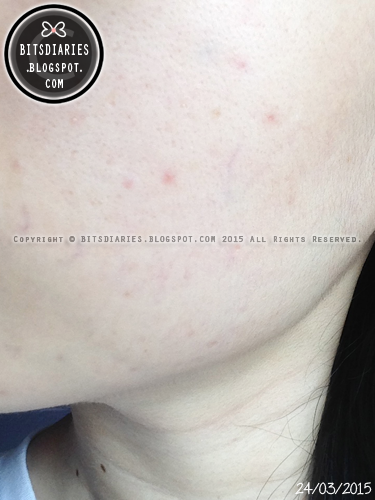 On 24th March 2015, the pimples from the previous breakouts have died down a bit. 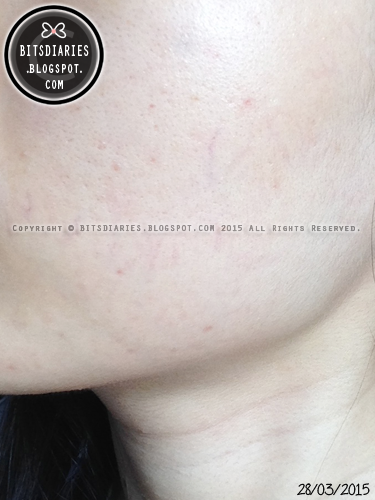 However, there were still a number of red-pink-brown post acne marks/scars being left from pimples, as shown in the following pictures. Thankfully, there wasn't any major breakout. 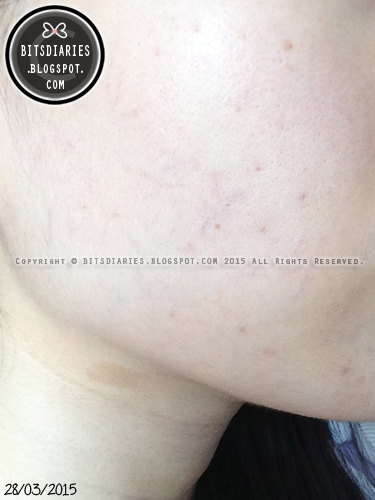 At most, just a few whiteheads/flesh-colored bumps that were barely noticeable. As of today (29th March 2015), the pimples are gone and the red-pink post acne marks/scars are in the process of lightening to pink-brown; some have faded significantly. Basically, I think that's a positive sign showing that my skin is healing. P/S: As mentioned in my previous update, I prefer to treat one problem at a time. Since my acne has died down, I'm currently focusing on treating the post acne marks/scars.